Sprinkl has partnered with AerisWeather to gather hyperlocal historical and forecasted precipitation data. The unique endpoints that AerisWeather has tailored specifically to the irrigation industry, act as the engine behind Sprinkl's technology. Many legacy home watering systems are set to timers or are manually operated. With natural resources becoming more restricted, limitations regarding water amount, days, and times are becoming more and more prevalent. In addition, switching to a new, fully automated, and smart watering system can be an expensive undertaking. The true solution lies within converting legacy irrigation controllers into smart controllers. Sprinkl Conserve is a smart connected rain sensor that installs to virtually any existing irrigation controller. This system helps users conserve water by integrating local weather forecasts into their smart irrigation controller. AerisWeather’s data is combined with Sprinkl’s algorithms, giving users the ability to easily set specific rules that will determine when or when not to water. The flexibility of the AerisWeather API allows Sprinkl to easily pull both observation and forecast data into their system. By tapping into current and future weather conditions, Sprinkl Conserve can help users avoid accidental lawn watering on rainy days or miss watering during stretches of hot, dry days. By incorporating the AerisWeather API into Conserve, Sprinkl is able to offer users an easy to use water management and conservation solution. The Sprinkl app is available on iOS and Android devices and is compatible with all existing irrigation controllers. 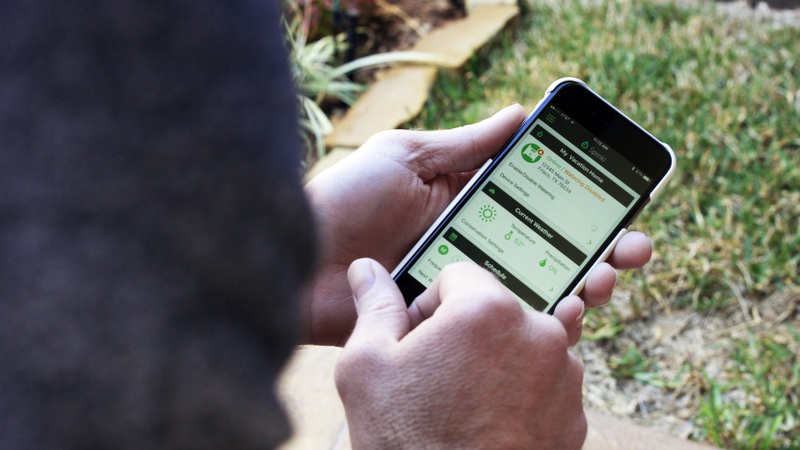 Users can manage watering schedules, conservation rules, and more from any location. The partnership between AerisWeather and Sprinkl will allow households and commercial properties across the country to use water in a more sustainable way. Sprinkl develops next-generation connected irrigation and conservation technology for both residential and commercial markets. Visit Sprinkl.io for more information.